It’s been several weeks since the January 12th disaster in Haiti. Relief measures by major celebrities, telephone companies and volunteers have made a dent in the amount of money that will continue to be needed by Haiti. If you’re still looking to help with the Haiti Cause (and hopefully you are), please visit the link below. We are directing our efforts toward the children of Haiti and keeping them nourished during and after the cleanup/rebuilding of Haiti. Why Should You Help with Haiti? If the Haiti videos you’ll find on YouTube and other video sites aren’t enough to make you want to jump on a plane with your pantry in your luggage, then we ask that you think about the thousands of now orphaned children, millions of dollars in home and business damage and that ten dollar lunch you were thinking about having today. Donate because you care and want to make a difference. Donate because of what it makes of you to donate. If all that still isn’t enough to encourage you to spend a few bucks to help feed and house families in Haiti, then do it for Free SEO Services you’ll get from donating. 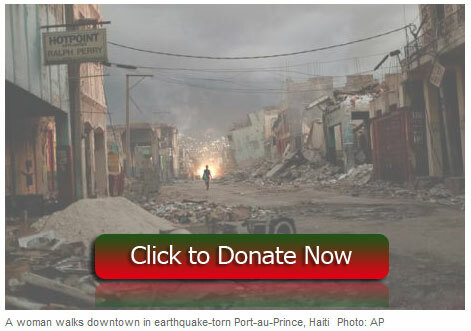 Email us with your donation to help with the Haiti Cause of $10 or more and we’ll provide you with a free one-time analysis of your website. Donate $100 or more and we’ll do a video review of your website live at SEOExpert.tv. We are very emotional about this crisis and are committed to helping with Haiti relief as much as possible. Thanks for reading and please donate to the cause.